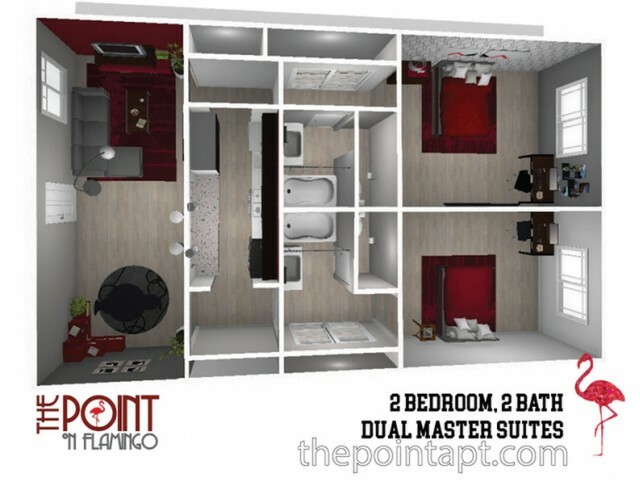 The Point on Flamingo offers 2-bedroom apartments for rent in Las Vegas, by the bed or as an entire unit. Each floor plan is 1010 square feet where you’ll have plenty of space so you can live and play. If you’re worried about furniture, don’t fret, our fully furnished apartments allow you to live in utmost comfort and style. As a resident, you’ll have access to our beautiful apartments and community amenities, so check them out and give us a call or come in and schedule a tour of our amazing community. 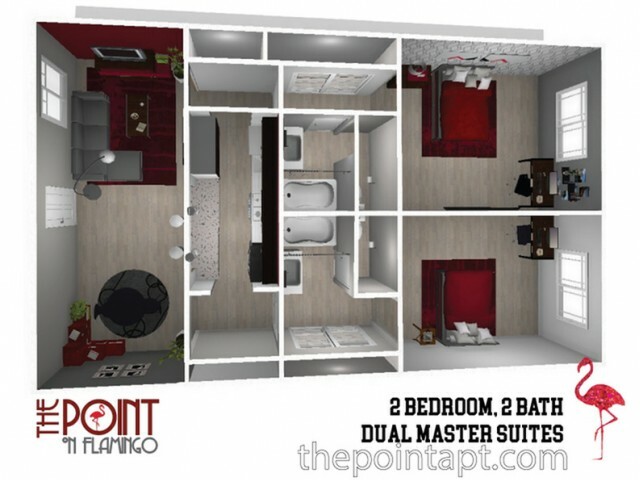 Don’t miss out on the living experience of a lifetime here at The Point on Flamingo!